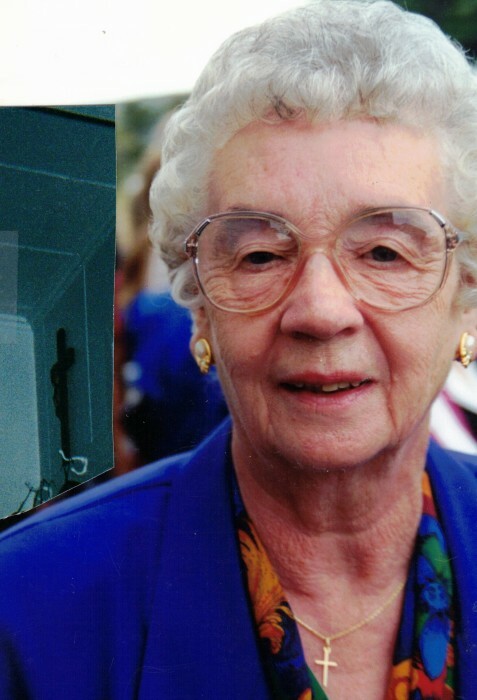 Obituary for Stella Barbara (Coulas) Rumleskie | Heubner Funeral Home Barry's Bay Ltd.
On April 2, 2019 in her 94th year, Stella passed away peacefully with family at her side. She was the beloved wife of the late Michael Rumleskie (2001). Loving mother of Robert, Gerard, Anna (Anthony Cuconato), Paul, Frank, Andrew, Mary Jane (Mark Fortuna). Survived by her grand children Melissa (Scott), Amanda, Christa, Lauren, Alison, Michael, Sarah Fortuna, Amy Fortuna along with her great grandchildren Emily and Connor. Stella was predeceased by her daughter Anna Mary and her son Andrew. Mom will be fondly remembered and sorely missed by her family and friends. A visitation will take place on Friday April 5th from 2-4 and 7-9 PM, and on Saturday from 9-10 AM. A mass of Christian burial will be celebrated at St. Hedwig’s Roman Catholic Church on Saturday at 10:30 AM. Interment in the Spring.